The most popular app for Chinese users around the world is set to completely revamp its overseas advertising features in April 2019. This major upgrade is aimed at improving the ad placement process and reduce barriers to advertising — in a big way. What are the most important changes to WeChat for 2019? Minimum ad spend has been removed. Brands can now place ads with any budget. The one-week campaign timeframe restrictions have been removed. Brands can now run a campaign for as long as needed. Creative approval time has been expedited from 7 days to 2 days. Historically, WeChat has been a difficult platform to advertise on with steep minimum spends and fewer ad options. In-feed Moments Ads, in particular, require a larger budget. Now, this is changing to become more accessible for all brands. No longer is it only for large brands who could afford the minimum $10,000 USD weekly ad spend on the platform. 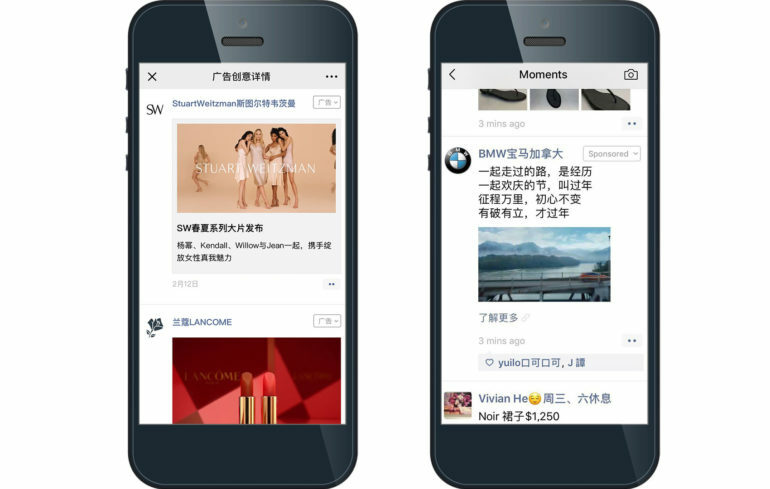 WeChat Moment Ads, WeChat’s premium ad product, are sponsored messages that appear naturally in a user’s timeline, similar to the Facebook Newsfeed. Ad formats include photo or video posts, and they can drive to your brand’s WeChat Official Account or a separate landing page. This format has proven to be the most effective channel for targeting Chinese tourists and Chinese customers outside of China. How effective are WeChat Moment Ads? See how luxury fashion retailer Holt Renfrew used a WeChat campaign over Chinese New Year to double their year-over-year revenue. Interested in running your own WeChat Moment Ads campaign? Contact us directly to learn how you can take advantage of these new updates.